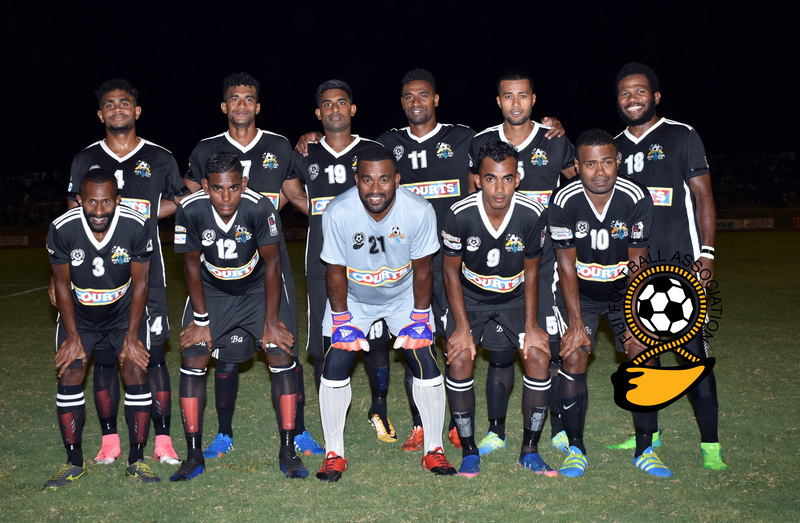 Ba has qualified for the semifinals of the 2017 Courts Inter District Championship (IDC) after beating Rewa 2-1 in their second Group B encounter at Churchill Park in Lautoka tonight. The Men-in –Black are the only team to confirm their spot in the top four with six points and plays Dreketi in its final pool match at 4pm tomorrow and a draw will be enough to see former champs top Group B.
Rewa on the other hand will take on defending champion Labasa at 6pm and will need at least a draw to progress as they have a better goal difference in the group. Labasa and Dreketi both sit with a point each after they ended in a 0-0 draw. Dreketi lost to Rewa 1-5 while Labasa went down 3-0 against Ba. In Group A Lautoka leads the point table with four points after defeating Suva 2-0 and a draw against Tavua. The Sugar City boys will face Nadi tomorrow and a win or draw will see them in the semi-final while Nadi has one point. Suva is on second spot with three points after a loss against Lautoka and 2-0 win against Nadi. Suva plays Tavua in their final pool match tomorrow with both teams have chance to qualify. Tavua has one point and a win against Suva might see them in the semi-final if Nadi loses three points against Lautoka. Group A is currently wide open and would be decided after the final pool matches tomorrow. 2pm- Suva vs Tavua, 4pm- Ba vs Dreketi, 6pm- Labasa vs Rewa, 8pm Lautoka vs Nadi. The Stallions registered a 3-0 win over Lami yesterday and now leads Group B with 6 points. Meanwhile Savusavu was held to a 1-1 draw by Lami in their second match at Nadovu Ground. Savusavu now has 4 points and will meet Nadroga in their final match at 10am tomorrow. In Group A matches played today, Tailevu Naitasiri bounced back from its 4-0 loss to Navua to beat Seaqaqa 4-1 while Nadogo held Navua to a 2-2 draw. Group A remains wide open and the qualifiers for the semifinals will be determined after the conclusion of tomorrow’s matches. Navua currently has 4 points and will meet Seaqaqa (3 points) at 12pm tomorrow while Tailevu Naitasiri (3 points) will play Nadogo (1 point) around the same time. The semi-final will be played on Saturday while the final on Sunday.